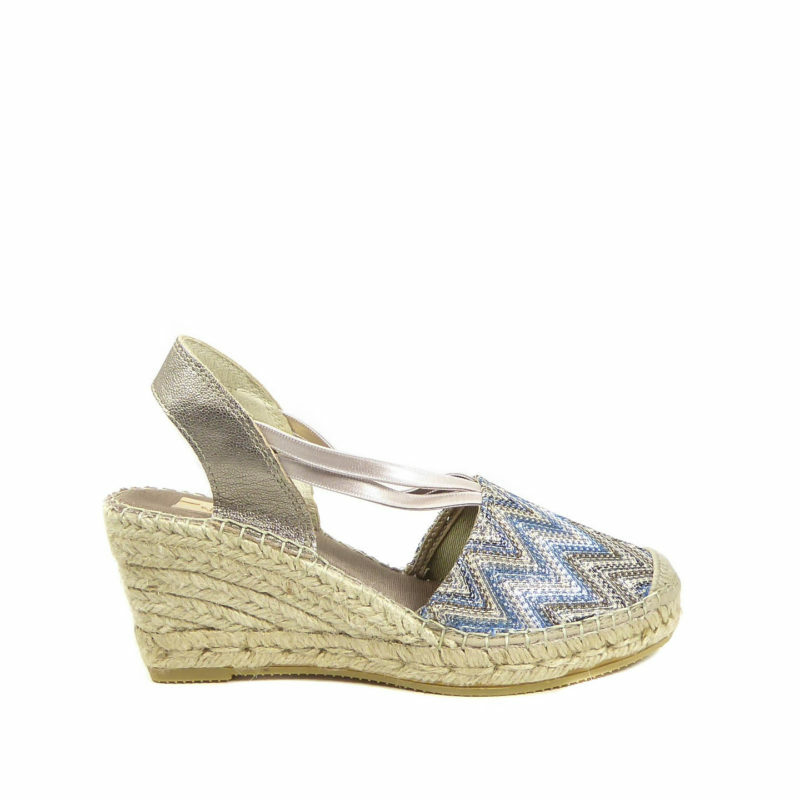 Closed toe espadrilles are always a winning option in the transition between Spring and Summer. These neutral suede ones are no exception with their graduated raft wedge height of 3.5 inches and double strap, sling back fastening. All leather padded lining and rubber sole completes the look. Perfect choice with wide legged trousers summer dresses.